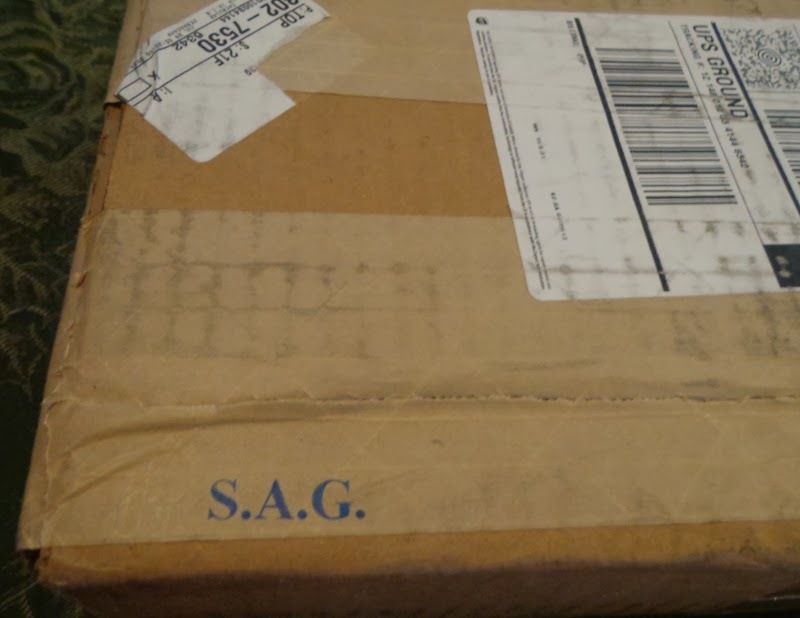 The initials S.A.G. stand for "Saint Anthony Guide". This prayer dates to an incident in July, 1729, in Spain. A merchant's wife, in need of support from her husband on business in Peru, placed a letter to him in the sleeve of St. Anthony's statue in her parish church, trusting he would somehow deliver it. Returning to the statue the next day, she found not her own letter but one from her husband, Don Antonio. Lodged in the sleeve was a heavy pouch containing 300 pesos, also sent by him. The merchant advised his wife that a letter from her had been delivered "by a friar of the Order of St. Francis." Don Antonio was sending his reply through the same friar. To this day, the merchant's letter is preserved in the Franciscan Monastery in Oviedo. This story led to the custom of placing 'S.A.G.' on mail and praying that St. Anthony give it safe passage. The practice became popular, whereby people placed mail under the protection of St. Anthony, trusting it would get safely to it's proper destination. By asking St. Anthony to direct a letter or even obtain for it a good reception, we practice the virtue of Faith and the virtue of Religion. May 'S.A.G.' be not only a three letter prayer on the envelopes we address, but also one of our habitual prayers in moments of doubt, temptation, perplexity, or any other need. 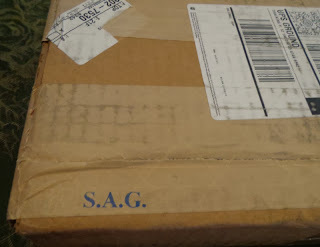 Here is a picture of "S.A.G" on a package I recently received.